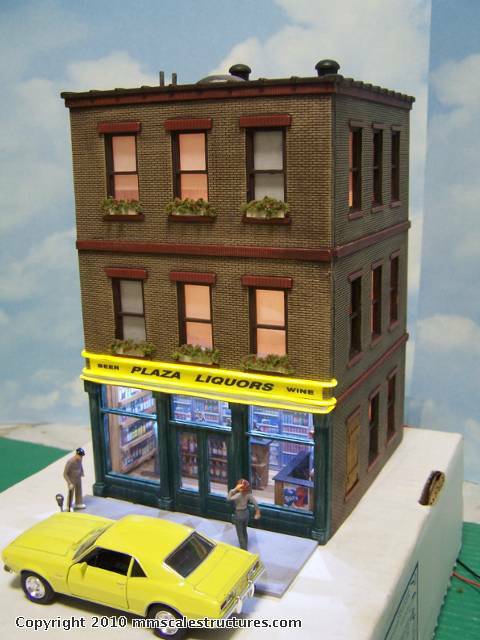 I know most of us here love Ameritowne O Scale building kits available from OGR. They are fun and easy to build. But after a while like all stock building kits, they all begin to look alike. Lucky their kits are very easy to kitbash. Here we have one that Maria and I did a simple "One - Nighter" project with. We took a kit that she won when she took 1st prize in the OGR / Ameritowne Kitbash Contest 2 years ago (I will be posting that build on here very soon !) 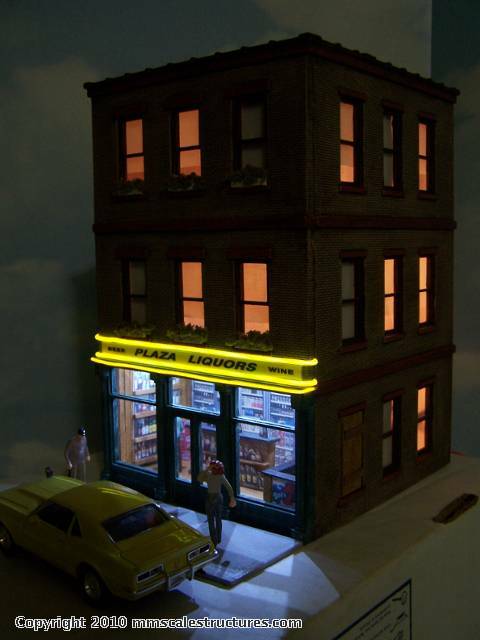 and we turned it into a city Liquor Store. 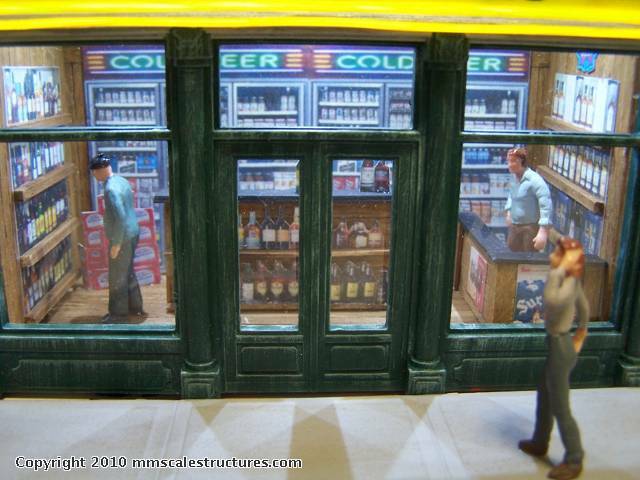 The interior is made of wood and make to look like an old wooden wall store like you seen back in the early 1900's. A beer cold case wall fridge, counter, shelves are all handmade. On the outside I made up some simple signs with a graphics editor. I usually use MS Image Composer or NetStudio 2000 but you can use a free downloadable program like GIMP to make great looking signage. Then I added so "EL" lightrope to give the facade sign that "Neon" look. 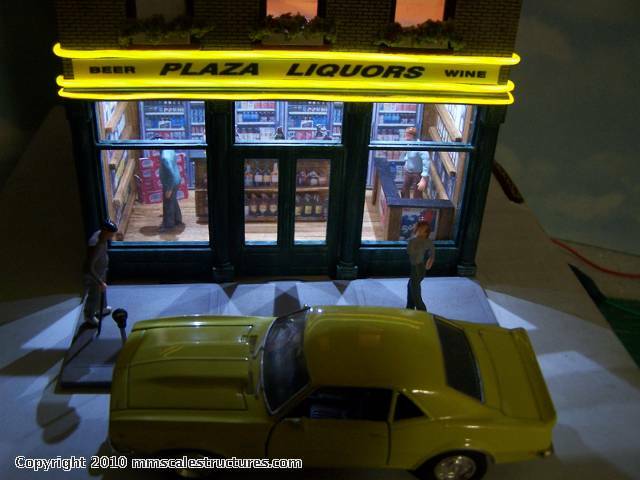 Adding some extra signs to the walls, lights to the interior and blacken out some windows, vines crawling up and rooftop accents and there you have a great little evening or weekend project ! Really like this one too. 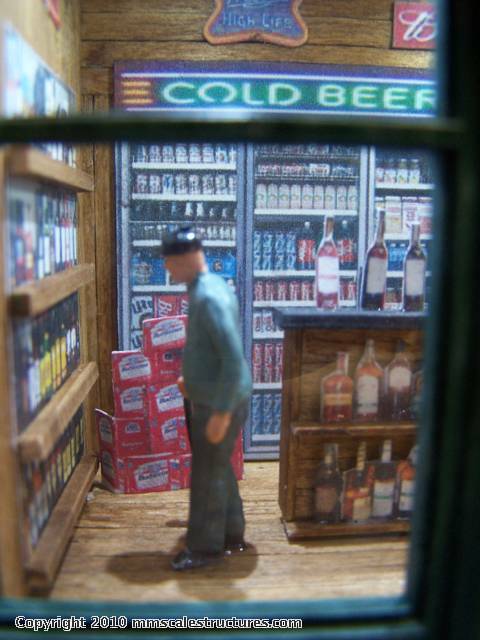 The planters under the windows, and the interior with all those cases of beer, and bottles on the shelves. Very nice effect. 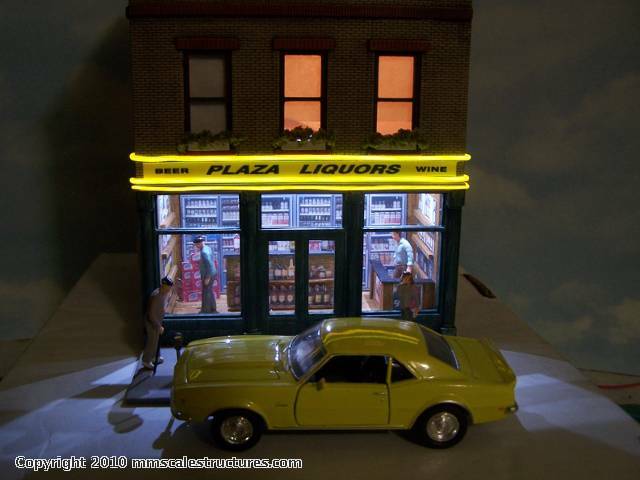 How are Plaza Liquors Prices? The night scene looks great.